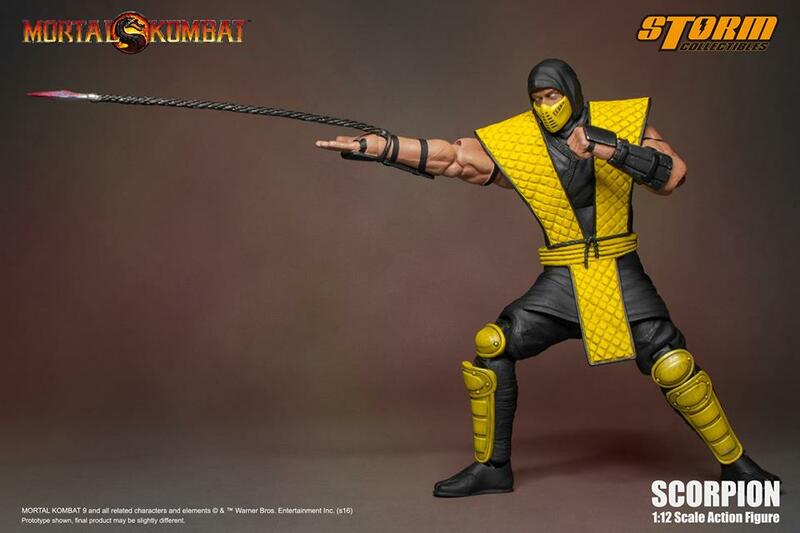 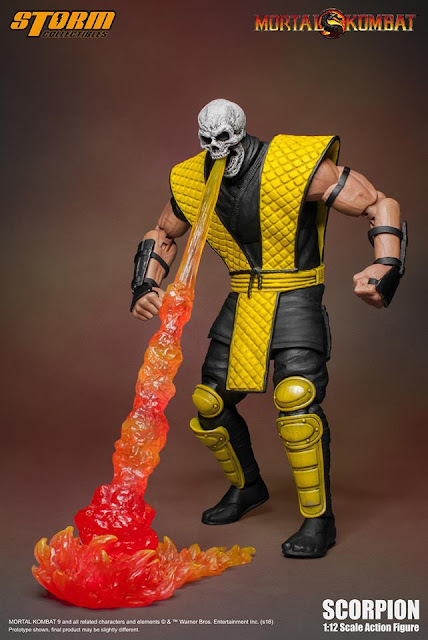 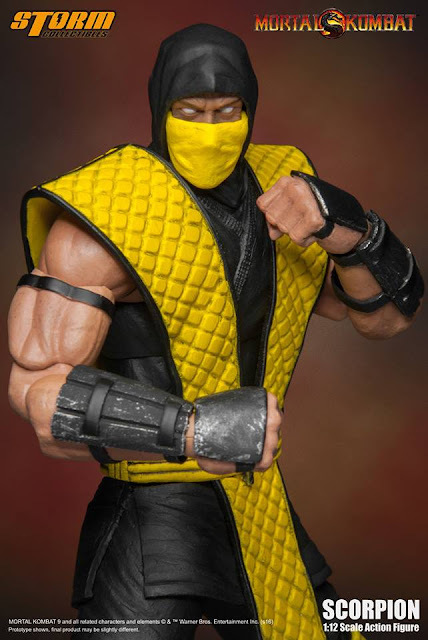 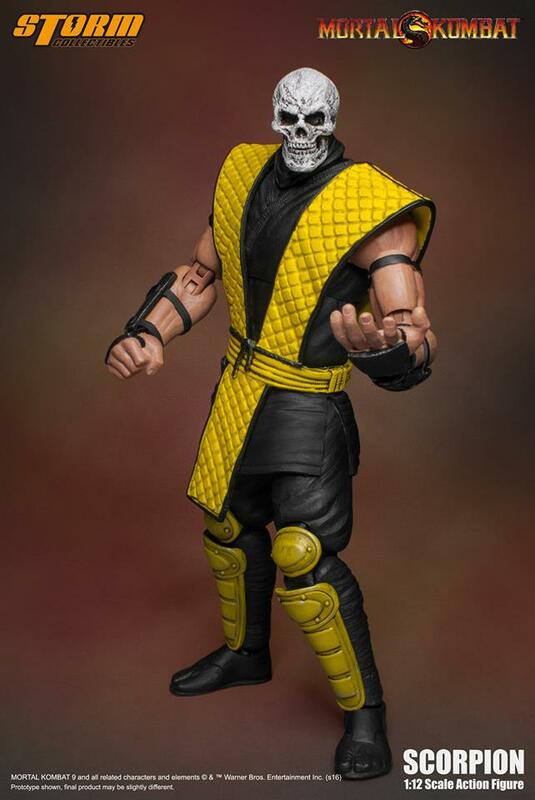 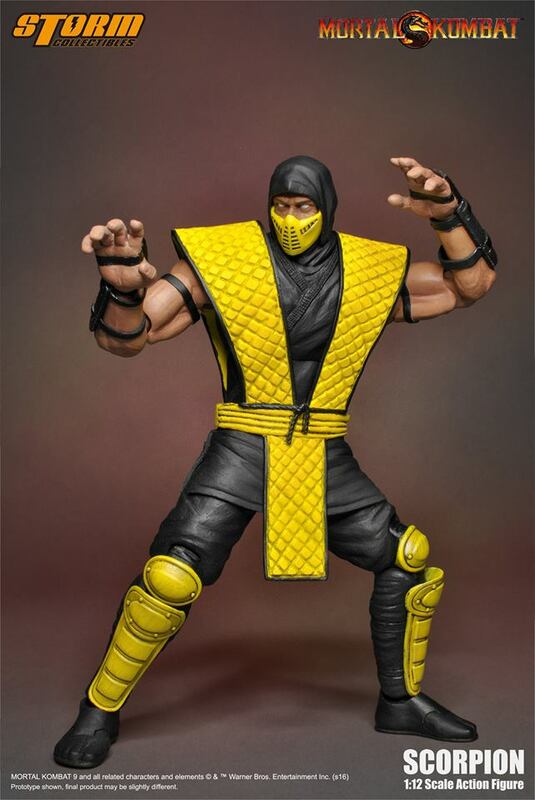 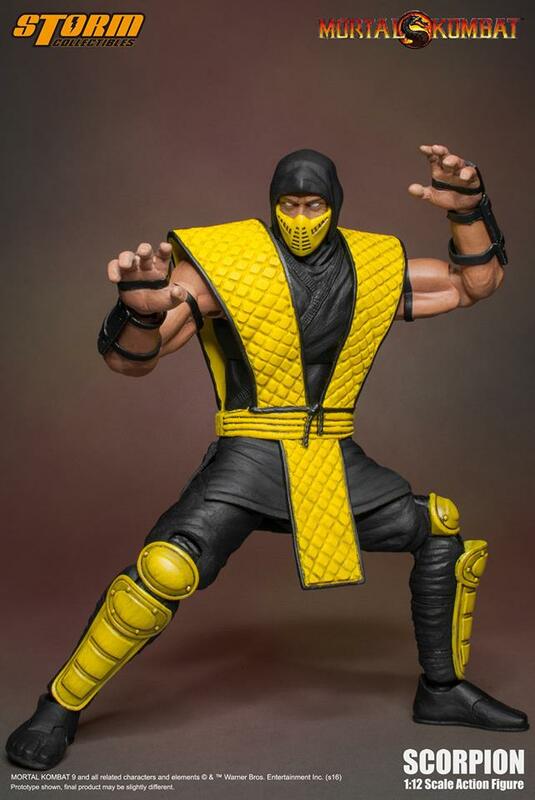 In March, Storm Collectibles officially revealed their Mortal Kombat Scorpion 1/12 figure and retailers have started to take Preorders for it. 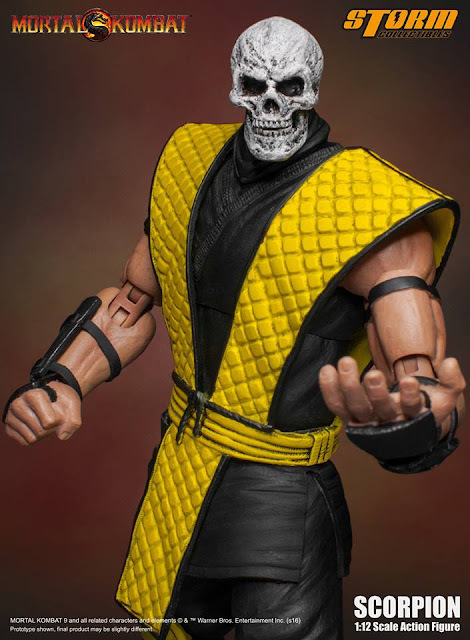 But it looks like Storm Collectibles weren't too happy with their final product so they have re-designed it to give it a new body. 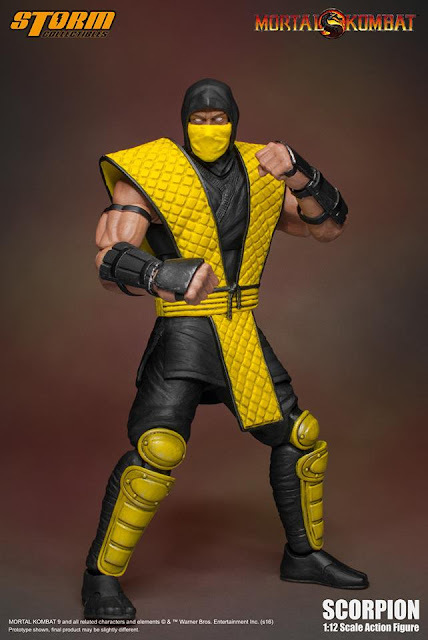 I think it looks better now, his clothes are a more clean yellow as compared to the previous version. 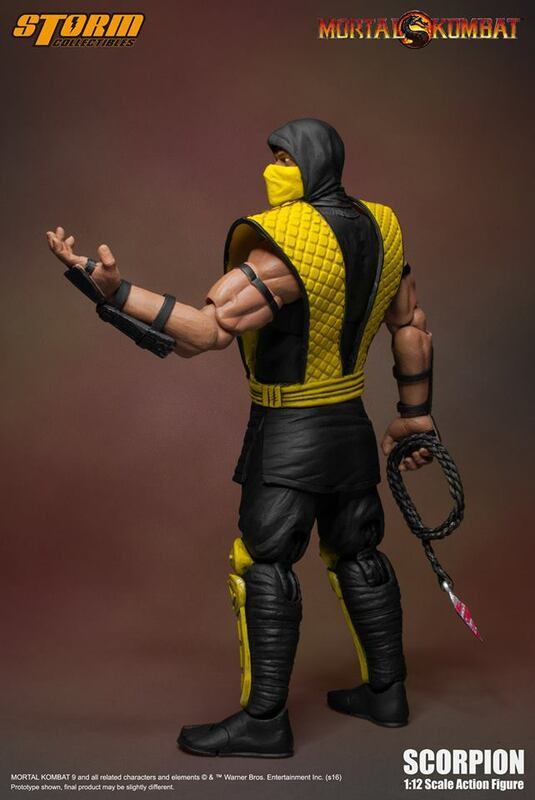 However, that string at his waist is a bit disturbing. 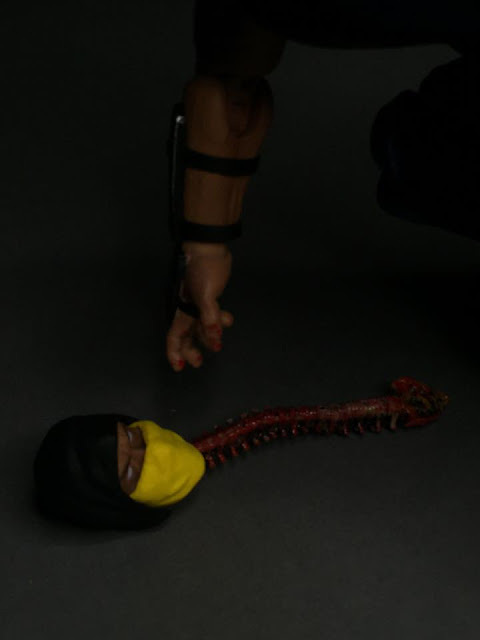 It wasn't there before so I don't know why they added it now. I don't think it was there in the games but I have seen it in certain images when I did a Google search. 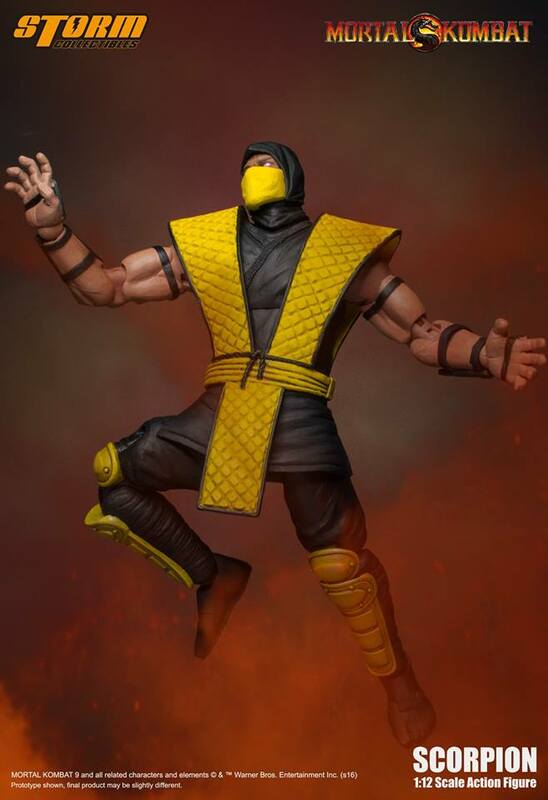 Still.. looks a bit off in my opinion. Either way, looking forward to getting this and try some posing with this figure. "Klassic Scorpion feature a brand new developed body, 100% hand-painted, over 30 points of articulation, 7” tall, a skull sculpt, 2 masks, 6 pairs of palms, fire effect and a scorpion-spear. 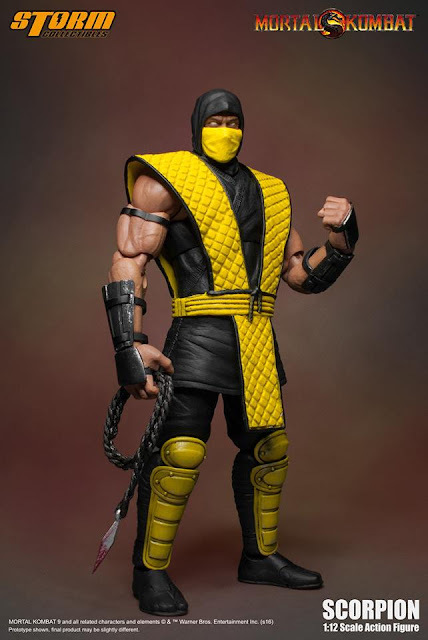 License rights: Only in Asia (excluding Japan & Korea) "
Storm Collectibles also posted a teaser on their Facebook Page on who their next figure would be..
No prizes for guessing who that is!